Jason and I had an opportunity to travel to Greece in 2012 to be there for the wedding of our good friends and we spent some extra time before and after the festivities exploring as much of Greece as we could. Two weeks is just barely scratching the surface and we were left with long mental lists of places we’d like to see on our next trip back. 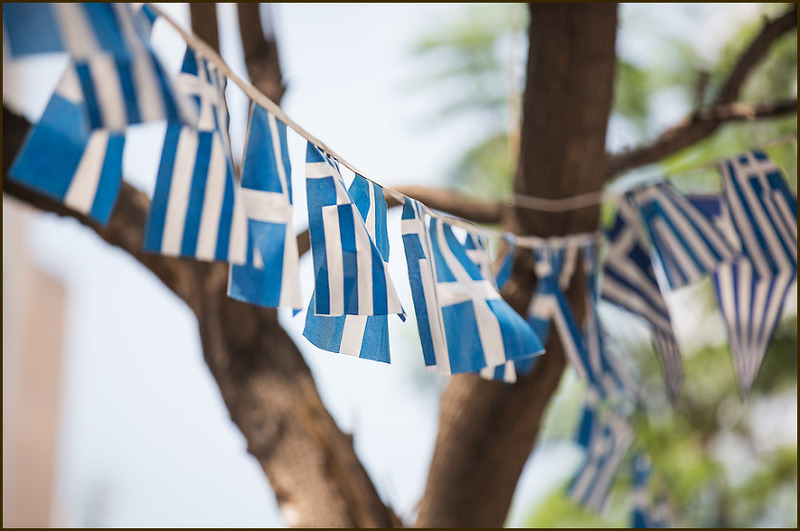 Next time we’ll explore more islands, venture out to Meteora, and take the kids with us! 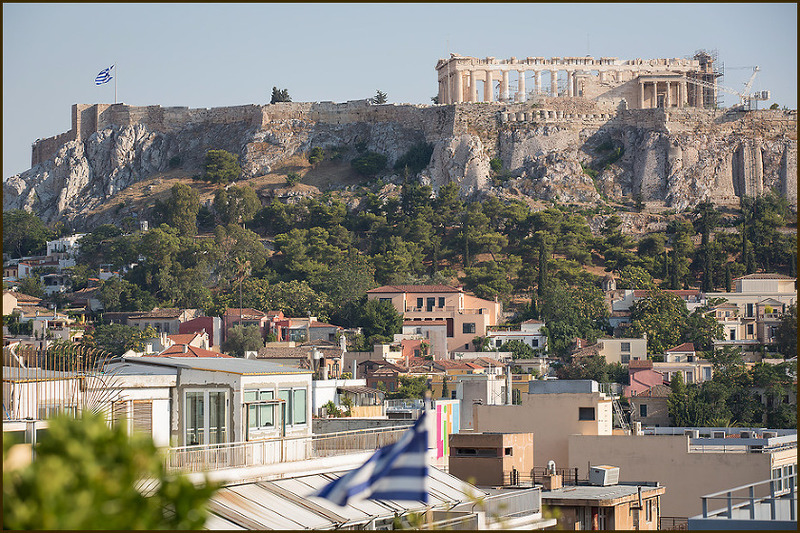 We stayed at the popular Plaka area of Athens, where our hotel had a rooftop bar with a view of the Acropolis. It was surreal to arrive after a long flight and view this amazing piece of history towering over the spreading city below. First priority was braving the summer heat the next day and hiking up to the Parthenon and the Theater of Dionysus at the top. It was a long windy walk through cobblestone streets and up dirt pathways when we finally came to the Theater of Dionysus. I love being in a place where so many generations of people have walked. 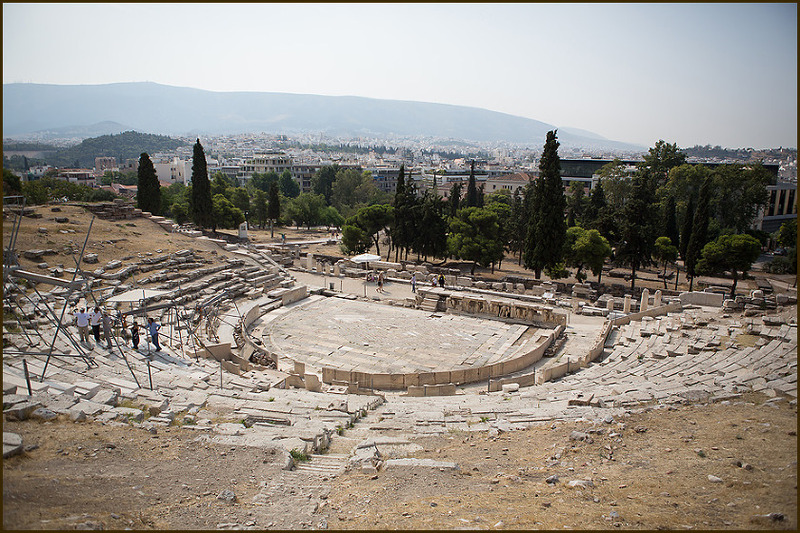 This open air theater dates back to the 4th century BC and was home to countless festivals, plays and dramas through the centuries. Sophocles once stepped here. And here’s what it was really like! The next day we decided to hike up Mt. Lycabettus for an expansive view of the vast and ancient city. The sun was setting as we walked down and aside from some kind of cactus-like plant with painful prickly hairs that attacked our legs, it was a peaceful and lovely walk. The next day was a relax and walk around the city day, with a stop at the Doctor fish. Jason and I had done this already in Japan and Thailand, but it was new to some of our friends. And even having done it before, the sensation of tiny carp nibbling at your feet is still squeal-worthy! Three other major sights we ventured to in Athens were the Acropolis Museum, Hadrian’s Arch and the Temple of Zeus. So much history in one city…I can’t wait to take the kids there when they are old enough to really appreciate the sights and I can load them up with Greek mythology ahead of time! Erica - Your photos just induced too much thirst and wanderlust that I’m going to need to satiate asap! I love that you included the renovations and all the crowd. That is what it’s really like seeing tourist spots, haha. Thanks for sharing these awesome photos! Gloria @NomadicChica - I agree with you and the love for this city! I was there last year and despite everybody saying…don’t go there…there’s not much to do…I was really surprised! So much history everywhere, really nice people and great food! Simone - Wow I bet you would have seen so much of the city in 5 days! Love your photos!